As we predicted, air travel has become increasingly risky. AF 447 in 2009 and MH 370 in 2014 were both electro-magnetic zaps when the planes were over water and over land that was either highly magnetized (AF 447) or under squeezed rock (MH 370) so electro-magnetic screech was present. Both these planes had their electrical systems fried. Are these factors present during the current rash of planes in distress or crashing during July, 2014? 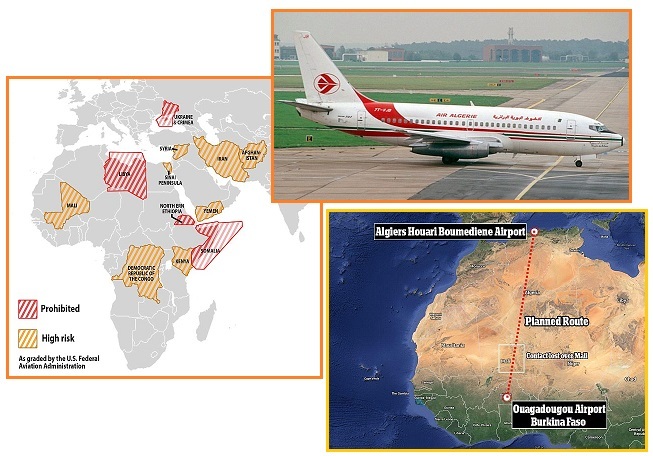 We predicted that air travel would become increasingly risky due to several factors. The compass can no longer be relied upon. Airports began some years ago to paint directions on their runways, due to this. GPS is affected by the Earth wobble so misdirects pilots as to their location and elevation. With poor visibility, pilots have been known to plow into mountain sides, thinking they were elsewhere, due to this. Radar has begun to malfunction, so air traffic controllers cannot see the aircraft and thus, cannot direct traffic to avoid collisions. Thus visibility has become increasingly important, else the pilot is flying blind! 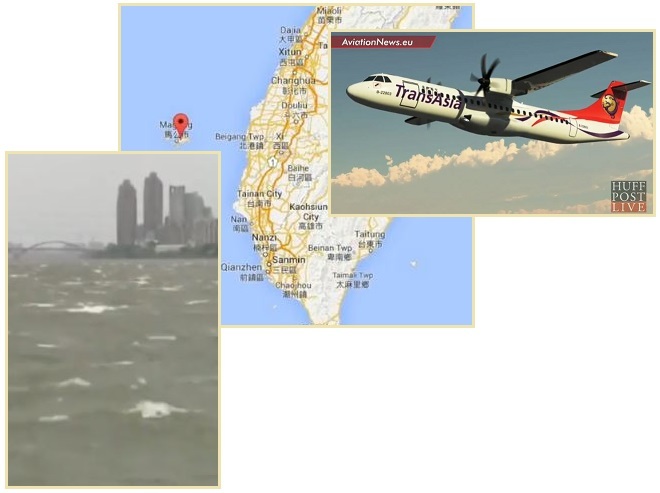 A TransAsia Airways was landing near Taiwan on July 23, 2014 in the aftermath of a Typhoon that had passed the region, and though several other planes were able to land just prior, at 7:06 pm local time the plane crashed into homes near the airport, killing 48 aboard. The Sun was high over India, so a side swipe of the charged tail of Planet X disrupted the steady state of the Earth’s magnetic field on the dusk side of the globe. One might call this an electro-magnetic flux, rather than pulse, but this is just as disruptive to electronics. Although the pilot was having difficulty landing, making a second pass, the public will only hear that rain created poor visibility. On July 25, 2014 an EasyJet landing in Spain close to noon at 10:10 am made an emergency landing as it had been devastated by lightning, all 116 aboard saved, thus. Planes are protected from lightning strikes, but this assault was considered so devastating the pilot was taking no chances. The assault was sudden, unexpected, and once again near water as both Barcelona and the emergency landing were along the coastline with the Mediterranean. As with the European radar outages on June 5-10, 2014 in the afternoons, the timing was when the Sun was overhead, close to noon. Facing Planet X, direct arcing to the charged tail occurred, and such lightning storms will likewise be on the increase, increasing devastation for air travel. The plane had taken off from Kaohsiung at 4.53 PM for Magong in Penghul, said Jean Shen, the head of the Civil Aeronautics Administration of Taiwan. The plane had lost contact with the tower at 7.06 PM after it had said that it would make a second attempt at landing. The visibility at the time the plane had approached had been 1,600 meters, which meet the standards that had been set for landing. The agency has also reported hat two flights had landed before the GE222, one at 5.34 PM, while the other had been at 6.57 PM. However, it appears that the heavy rain had caused reduced visibility, and the plane had been forced to pull up in order to make a second attempt at landing. An easyJet plane was forced to make an emergency landing today after flying out of Britain - when it was struck by lightning. The Airbus A319-111, believed to be carrying 156 passengers, was forced to land at Spain's Reus Airport. We were just flying over Barcelona and this storm came out of nowhere. 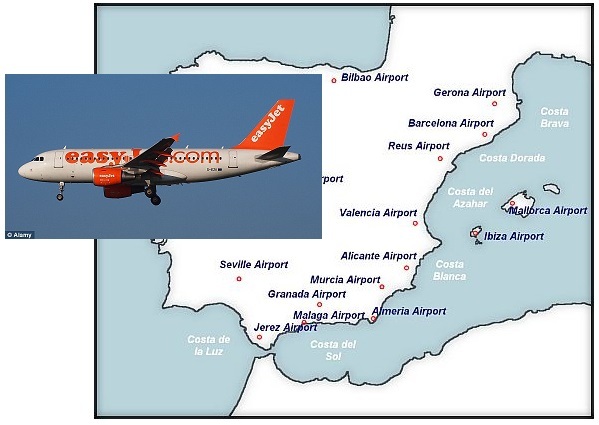 The flight, from Bristol Airport, was due to arrive at Barcelona International at 10.10 am local time.